Surprisingly enjoyable, even if you're OBSESSED with food. 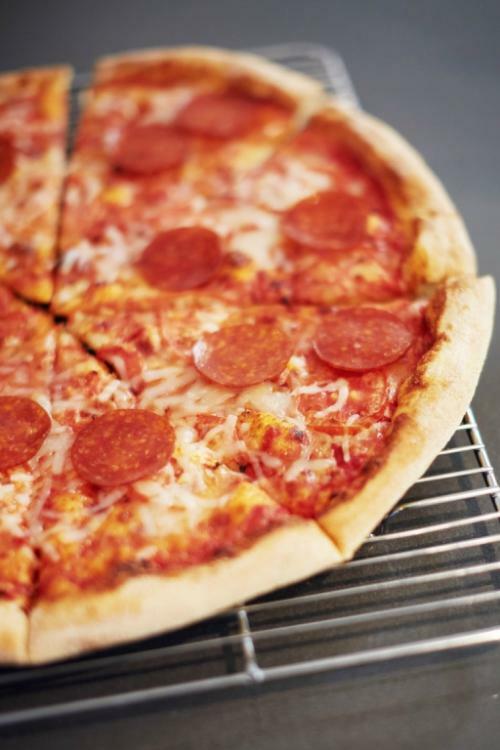 I'm known among my family and friends as a diehard food enthusiast, and living in New York City has allowed me to explore this passion even more. Since moving here, I've made it my mission to experience all of the cuisines and restaurants this great city has to offer while keeping my bank account afloat — a challenging yet feasible goal. For the past six months, I've been blissfully hopping from hip Italian spots in the East Village to trendy burger joints in Midtown, but in recent weeks, I'd begun to feel irregularly sluggish and bloated. When the symptoms didn't subside, I considered my options: a juice cleanse, a Whole30-esque diet, or abandoning my indulgent ways cold turkey. Realistically, I would never be able to survive on raw juice and vegetables, eating like a cavewoman just isn't my cup of tea, and I'd rather give up my dignity than give up something I love (food, of course). Coinciding with this dilemma, a friend of mine had just left her corporate job to start at the wellness company Sakara Life. She explained it as a healthy meal-delivery program serving the likes of models (Lily Aldridge is a fan) and celebrities. The nutritionally designed, plant-based offerings provide full, satisfying meals with wholesome ingredients and a myriad of health benefits. My family is in the produce business, so I have been encouraged to "eat the rainbow" since I was little. Plants, fruits, and vegetables are among the most colorful food groups; the richer the color, the higher the nutrient content. Plant-based diets are also effective because of how hydrating they are, which is paramount when it comes to balanced nutrition. After speaking to Sakara cofounders Whitney Tingle and Danielle Duboise, I became more interested in committing myself to a plant-based diet (at least in the short run). They explained that the program doesn't require abiding by strict rules, but rather, it uses food as medicine. "We're not presenting another form of a diet," they agreed. "Food has to become nourishment instead of the enemy." This struck a chord with me simply because of my affinity toward food. So when I opened my door on delivery day to find a fully stocked freezer bag packed with bright and unfamiliar dishes, the experiment began. I was sold. 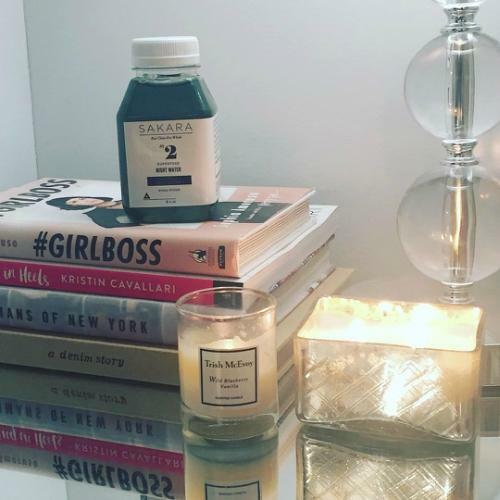 Each day also included morning water, with rose water and trace minerals for beautifying, and night water, with chlorella and trace minerals for detoxifying. All of the meals for both days were tasty and surprisingly filling, which brought me to my first aha moment that healthy food can, in fact, be satisfying. It was also a treat not to worry about cooking or planning my meals for two full days, relieving me of the anxiety of grocery shopping and cooking. But the most impactful effect of the program was that the discomfort I had been feeling seemed to disappear almost immediately. I could feel the difference between this food and what I normally eat, which was a wake-up call I'd probably been avoiding. Something really awesome about the meals was that they came packaged with a label explaining the elements of the dish and what makes it nutrient-rich. So not only was I taking part in a healthier diet, but I was also educating myself. 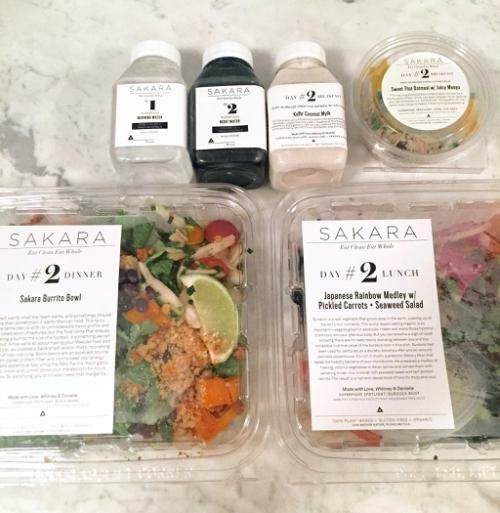 I never pictured myself to be the type who could embrace a completely plant-based diet, but when my Sakara deliveries ended, I did my own meal prep based on the program's guidelines. It was challenging, to say the least, especially since I'm not super familiar with all of the elements of naturally derived food — I had never heard of the terms kefir or cardamom before in my life. I started with ingredients that I'm accustomed to using, like spinach and sweet potatoes, and found comfort in black bean patties because they felt similar to eating a burger — old habits die hard, you know? For breakfast, I stuck with steel-cut oats and honey but changed it up with fruit each day for variation. I also kept both sweet and savory snacks on hand, like dried cranberries and kale chips, to curb any cravings that popped up throughout the day. The week was pretty enjoyable and less traumatic than I expected, but I have to admit that it didn't take long for me to start missing my usual routine. What made it all worth it was knowing that I put wholesome, healthy food into my body and that I truly did feel better as a result. I can't say this is going to become the norm, but it certainly isn't the last time.